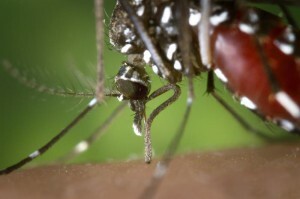 Mosquitoes are abundant this time of year – you may have gotten one or a few bites already! They can be a nuisance while doing garden work, grilling, or having a party. Take advantage of these 7 plants to deter mosquitoes from your yard naturally! 1) Catnip – This easy to grow plant is abundant in Michigan. You may have some of it growing in your yard already! In 2010, the American Chemical Society found that the n epetalactone oil in catnip is 10 times more effective than DEET at repelling mosquitoes. 2) Citronella – A beautiful plant in the geranium family that is used in many bug repellant formulas. It gives off a strong citrus scented aroma when disturbed. This plant is poisonous to dogs and must be brought indoors during the winter. 3) Marigolds – This small, bright flower contains Pyrethrum – an ingredient found in many commercial mosquito repellent sprays. It also makes a great companion plant for tomatoes. 4) Peppermint – Place it in pots near your front porch or patio to keep mosquitoes at bay. If planted in the ground, Peppermint will soon take over the garden. Though most people love the minty aroma, pests despise this plant. 5) Basil – This easy to grow herb can be used to flavor your meals while deterring mosquitoes with it’s strong scent. 6) Lavender – A beautiful addition to your garden that is easy to grow and can be used in teas or homemade skin products for a calming scent. Mosquitoes are repelled by it’s smell. 7) Garlic – A great herb to grow if you have space in your garden! Plant in the spring to ward off mosquitoes in the summer then harvest to eat in the fall. Garlic may also be planted in the fall for larger bulbs to be harvested the following summer.